It is possible to conceive of music as the totality of all sound – a totality far exceeding the thin slice audible to man. This totality of all sound – of which we are a part – is the sounding of the world. 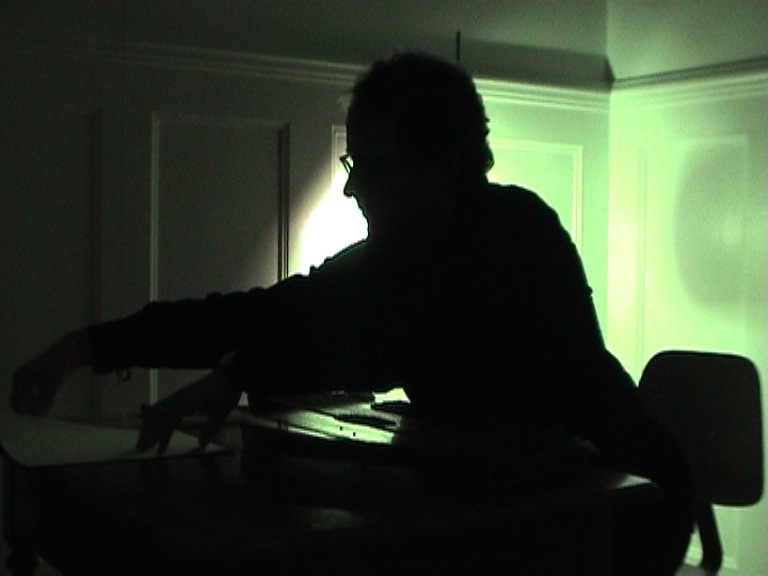 I had no intention nor design for my evolving absorption in musical works integrating location recordings. It has been, apropos of most of my life interests, more of a drift that has, over time, and with the practice of listening, gained some focus and clarity. I have come to hear music as an environment, in which I attune and attend to varying degrees the best I can. I take Werder’s point as suggesting we can conceive of something we generally experience only in slices– that is, we can imagine music as a totality we actually experience in discrete, packaged, taxonomically labeled parts. Cage said, the only problem with sounds is music; he viewed the well-grooved cognitive habit of slicing up sound’s totality as silly. The finest musicians in this area of music are revealing just how silly such a delimiting approach to music can be. Toshiya Tsunoda, I believe we can regard these vibrations as the ‘context’ of constructed space… we can increase our awareness of living space. My suggestion is that we must recognize space as a vibratory system. 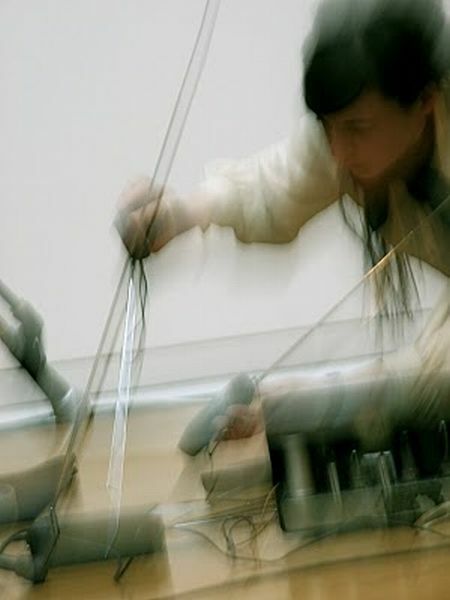 If I wanted to put succinctly the pull of music integrating field recordings, I could do no better than lift from Tsunoda this notion of increasing our awareness as listeners of the sentience and aliveness, to good or ill effect, of these sound environments. As it happens, over the past several days while I have been stewing about these things [and honestly of no real surprise to me], I come across composer Michael Pisaro’s just posted thoughts about his own series of pieces, currently at eight iterations, fields have ears. Pisaro, describing the process of complexifying and thickening the piece with many layers of chordal harmony, sine tones, field recording and noise [accretion is not the first thing that springs to mind when you hear Wandelweiser – but Pisaro’s fecund and florid development across the years as a member in good standing of a collective characterized by sonic subtraction, distillation and discasing, merits its own piece] says – I began to appreciate how, in a field, one never actually sees the roots. That is, the growth somehow implies roots without making them visible. Werder’s a totality far exceeding the thin slice audible to man; Tsunoda, who credits Werder as an inspiration and acceleration of his own thinking, saying We grasp a space conceptually as a map or a model. But when we observe a vibration…if we pay attention to the behavior of the vibration, some new phenomenon…will emerge; and Pisaro, in reference to the evolving fields have ears, naming this sort of musical experience precisely as I had in my notes for this rumination – I began to feel [despite the complexity] more and more at home in the environment it presented. 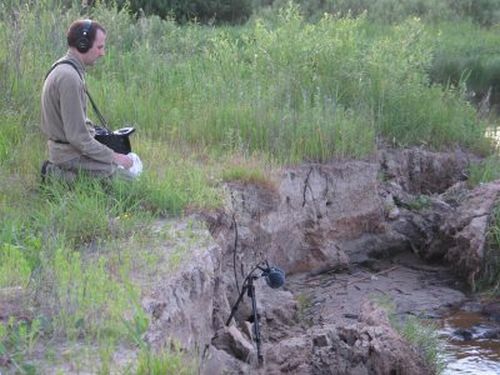 The best location recordings,whether placed within a composition, a work of concrète or improvisation, or allowed to exist as nakedly as musicians like Patrick Farmer present us with, provide more than envelopment and immersion – they expand our grasp of the slices once inaudible to our inattentive ears; they point to, as Pisaro suggests, an architecture underlying the visible field; and, as Barthe said in reference to emotions evinced from photography, pierce us, even mildly distress us, with what is felt but unknown. I have spent considerable time with a clutch of releases from the past several months that, to varying degrees, can be considered as fine examples of works that touch such nerves in this listener. Two issue from the conceptual maps provided by Wandelweiser composers Antoine Beuger [un lieu pour etre deux, realized by Barry Chabala and Ben Owen] and Manfred Werder [ deux trois choses ou presques, realized by Bruno Duplant]; three seem to be concerned with that most potent site-specific subject, home [Joda Clement’s The Narrows, Yannick Dauby’s Taî-pak thiaⁿsaⁿpiàn, and Lee Noyes and Sally Ann McIntyre’s to orient themselves with coastlines]; and one [Patrick Farmer’s Like falling out of trees into collector’s albums] shares with kindred field recordist Jeph Jerman anartistic praxis that might be characterized as whatever is happening within 100 feet of your porch is probably as worthy of your attention and microphone as what lies beyond. I’ll begin by telling you I have spent far and away the most time with Joda Clement’s The Narrows, not as I was privileging it over the others, but because I have had the unusual opportunity of hearing it from germination to its fully-embodied form heard now on the lovely Unathomless imprint. Clement sent me the incipient version in 2008, a mere 13 minutes at that stage, and four further iterations between then and now. I can say, then, with certainty that The Narrows has been painstakingly assembled, disassembled and at times almost completely re-imagined, as I have heard every stage of Clement’s obsessive process unfold. That Clement’s father was an environmental musician himself who was frequently accompanied by his son on field trips, and that the fields of Ontario were the germinal basis for this highly narrative work, means, of course, that The Narrows is deeply personal and felt. I can assure you, however, that its folds and plies allow plenty of space and ambiguity in which the listener can stand and soak it all in. The Narrows is tinged in melancholy, vibrant with the sense of recollections held close and long, and is smeared with fine ash. Like Asher Thal-Nir’s work, The Narrows owns a spatial quality difficult to describe other than to say many of its fine events seem to occur at a distance; I haven’t a clue how Clement conveys this aural equivalent of a far horizon, or a distanced memory, but it grips me with every listen, and is absolutely enthralling. For the past five years French-native Yannick Dauby has made his home, and concrète/location recording sound works, in Tapei. Taî-pak thiaⁿsaⁿpiàn is a wild, whirled work that conveys so many sounds from so many sources, you need quite a few listens to assimilate what Dauby is doing here. Much more a work of editing and, presumably, post-production than anything else discussed here, Dauby alternately startles and transfixes the attentive listener with human cries, songs, the sounds of labor, ritual, and much that is alarmingly, electrically insectoid. A mash-up of intense clarity, Taî-pak thiaⁿsaⁿpiàn might be the release here most meriting the signifier immersive. You’re not immersed in one environment for long, however – it’s more like a sound-gathering spree in a wild taxi ride, not a push as much as a plunge. A little reminiscent of Gino Zardo and Janek Schaeffer’s breath-taking excursion Walking East. Clement’s childhood roots are plumbed in his environmental work, Dauby’s new digs are amassed and shaped with the zeal of a transplant; on to orient themselves with coastlines, Sally McIntyre and Lee Noyes send their signals from a hilltop outside of Dunedin, New Zeaand. Dunedin was Noyes’ home until his recent relocation to Sweden. 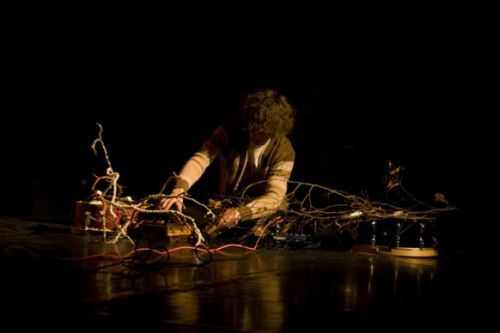 As Radio Cegeste, the duo wield a micro-FM station and a battery of electro-acoustic instrumentation to create clouds of static, feedback, sonic interference, barely decipherable ghost-whispers, and a steady flow of crackle and hum. Noyes, the free-improv percussionist, here folds and subsumes his contributions into the whole. Reminiscent of Jason Kahn’s Beautiful Ghost Wave, similarly shaping sound from the instability of short and long-wave radio signals, the duo’s environment is at once alien and entirely familiar. If this is, as I think it is, Noyes’ leave-taking work, it is a strange coda, and his life-long home is captured in strange frequencies that sing with electricity, charged, charred, singeing frequencies from home. The liner notes by the duo close with a line from the prolific poet Karl Krolow, who wrote elsewhere, in his poem Departure, Besides, who needs to/be anything now but/a traveler going below/Time for one last lovely song. 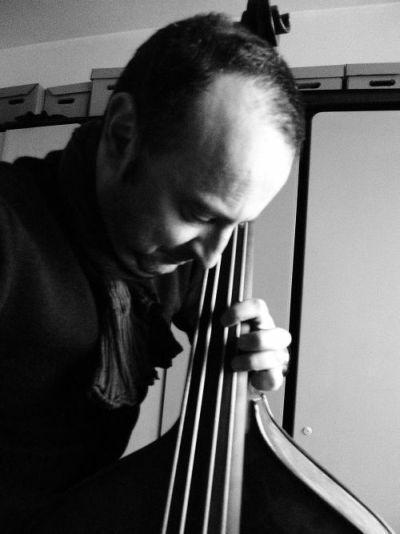 Bruno Duplant throws open the windows to the world in his realization of Werder’s deux trois choses ou presques, allowing the constant soft roar of that world to co-mingle and interpenetrate his offerings on arco bass, sine tones and horn. Duplant resolves Cage’s the problem with sounds being music by a striking a ballast between the two, and achieves a fine result. The listener is allowed that pleasurable state, and I think Duplant sustains this throughout the duration of the score, of tuning in and out its discrete elements, sometimes dialing in the thrum of traffic, the chatter and laughter of children, sometimes focusing on the deft lacing and limning of his bass and sine tone work. Meanwhile, of course, they all sound throughout. The reader is encouraged to dig a little into Werder’s approach to text-based scores and performance to support their appreciation of what Duplant has accomplished here. 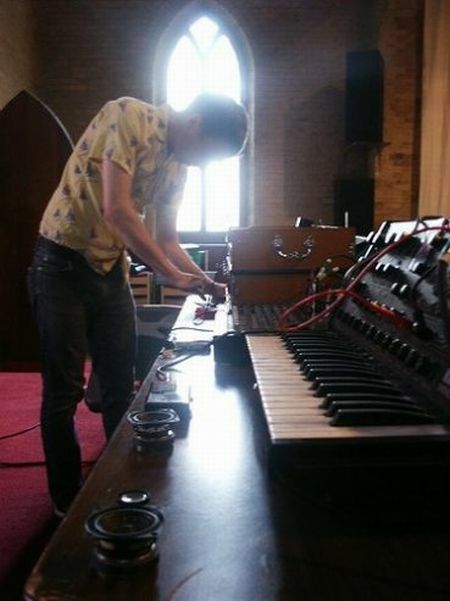 He creates an environment in which ordinary and commonly ignored sounds are subtly entwined with his playing, an environment in which the placement of attention serves as another dynamic element of the piece. This is, to date, my favorite offering by Duplant. 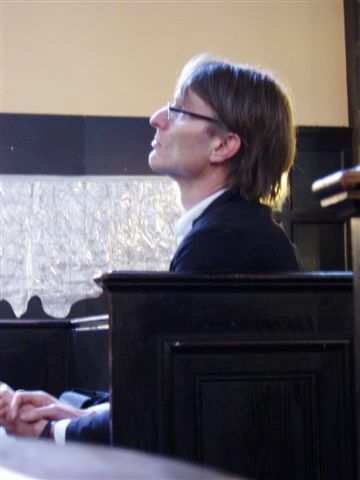 If, riffing on Cage’s oft-quoted response to hearing Handel’s Messiah [I like to be moved, I don’t like to be pushed] Antoine Beuger can be characterized in such haptic terms, you might say he is a composer who places a light hand under your elbow, and grants you a direction, musically. Guitarist Chabala and electronicist Owen get it, and, like Duplant’s recording, grant you plenty of opportunities to pay attention as you deem fit, to whatever you deem most engaging in the moment. Beuger’s piece, as realized here, also finds all the sounds of the world to be coterminus, e-bowed guitar alongside the shouts of rude neighbors. Beuger, as much or more than any living composer I am aware of, embodies and extends Cage’s notion of graceful devaluation of the composer’s ego and authorship. This means sink or swim for those tackling his pieces, on a whole other level than their virtuosity or fealty to the composer’s intentions. Chabala and Owen’s approach to filling in Beuger’s compositional sound-field is of the bloom where you’re planted variety, serving our ears [and predilections] the sounds of the world they inhabit. Environment isn’t metaphoric on un lieu pour etre deux, and as distressing, or dull, as this may be for some listeners, I find it to be completely inviting, unpretentious and apt. 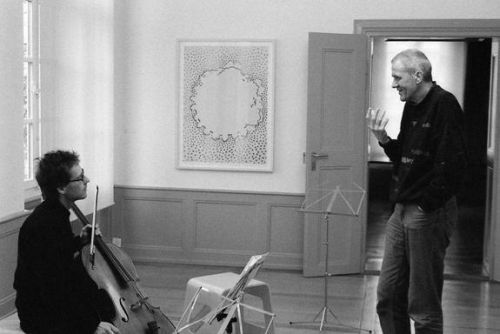 There are moments in this overall ppp-level recording when Chabala’s alarmingly sudden struck-strings, and snatches of aggressive shouts and braying laughter bring to mind what Beuger said once about the overall silence and quietude in his work – silence, he said, occurs as a rupture into the situation one is in. It may well be quite horrifying. Consider the environment – is it the aforementioned sounds that rupture, or the long silences between? 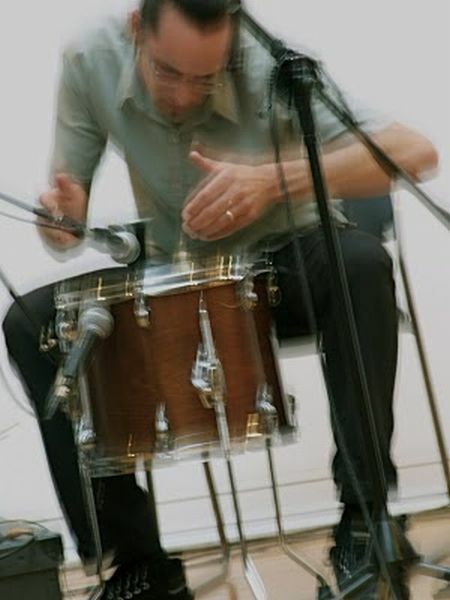 Beuger goes on to describe his music as a direct encounter with reality, which Chabala and Owen inarguably realize in their inclusion of the world that surrounds the event of music-making. 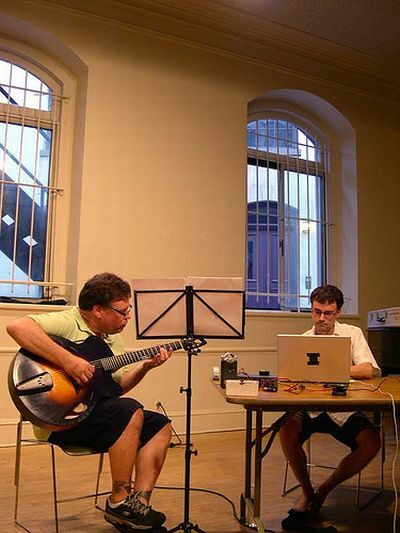 Wandelweiser sounds are generally described as comprised of serenity, equanimity and sonic still-points [at the still-point of the turning world, Eliot]; sure, as well as horse-laughter, airplane thrum, and inexpertly placed notes. This 2007 score for two performers is itself a paradox, as Chabala and Owen permit and prize many additional sound sources, delightfully so. I seldom confess my unrealized intentions where writing projects are concerned, but I will say at this juncture there are two musicians in the U.K. I have long meant to write about, Daniel Jones and Patrick Farmer. At present, I can only partially redress this with a brief appreciation of Farmer’s Like falling out of trees into collector’s albums, three bare-boned field recordings that hold me for reasons I genuinely cannot explain. That’s a happy state at this point. Farmer captures here a seasonal sign in nature people in my state are intimate with, ice melting off a body of water [the sound of dissolution]; power lines along a stretch of highway in Hertfordshire [reminiscent of a mini-series of recordings Jeph Jerman did of power lines along roads in the Southwest United States – these boys have keen ears for the luxuriant drones occurring all around us – the sound of sustain]; and the indescribable sonics of a hornet coring out a nest in a bamboo pole [the micro-sound of hard work]. This release bears the most affinity with the vibrational studies of Tsunoda. I can tell you that Farmer’s work, here and elsewhere [do visit his web page for hints] conveys an alacrity of attention and focus that I find in fellows of a much more advanced age. For all that his on-line persona suggests his approach is tossed-off and unfussy, Farmer’s sound environments reveal worlds-within-worlds, whorls-within-whorls, finely attuned to, and carefully presented to us, the lucky listener. 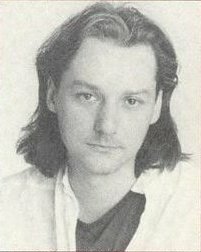 I posted some time back on another forum Patrick Farmer’s playing partner is the world at large. I am always alert to what he’s up to, and strongly encourage you to be as well. This entry was posted in music writing on March 21, 2012 by jessewgoin.